Review: A large-scale simulation solution - Performance tests and analysis. The MIMIC IPMI Simulator, the industry’s first integrated simulation tool supporting IPMI, allows developers to perform real world, integrated device simulations. MIMIC simulates IPMI-capable high-end server systems. MIMIC allows suppliers of IPMI devices and applications to design, develop and test their products in a virtual and scalable network environment, assuring customers that their applications will work properly when deployed across heterogeneous environments. 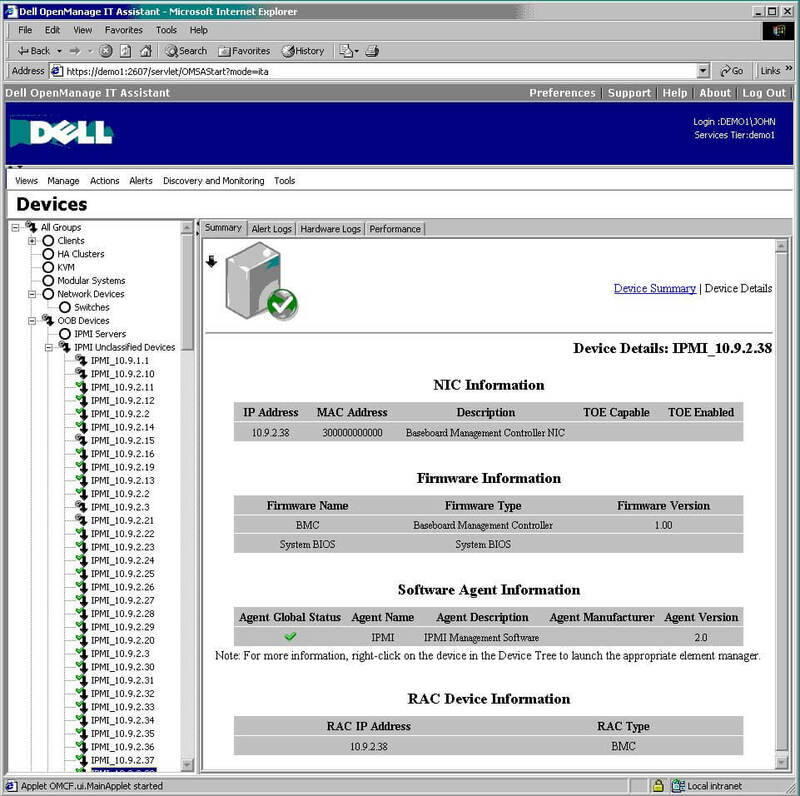 IPMI - The Intelligent Platform Management Interface is a recent standard for server management promoted by Dell, HP, Intel and NEC. If you are interested in simulating the new web-based standard for IPMI, take a look at MIMIC Web Simulator. It now includes Redfish Simulator. Development and Testing: IPMI Management application developers can implement their products quickly and test reliably - specifically, the testing of Lights Out Management. Evaluation: Enterprises can evaluate the suitability of applications with anticipated failure and growth scenarios, or qualify purchases before deployment. Trade Shows: Marketing can setup powerful "live" demonstrations at trade shows. Sales Demos: Sales can tailor presentations to the individual customer's environment. Training Environments: Realistic training scenarios can explore all possible cases. Training environment can be portable rather than based on the classroom. IPMI simulator: MIMIC can simulate 100,000 IPMIv1.5 or IPMIv2.0 based devices. Each one can be started or stopped individually or in a group. Each one has it's own IP address, Primary Port, Secure Port and version. Once started, the device starts responding to the IPMI requests from any application from anywhere in the network. IPMI Recorder: The IPMI Recorder is a stand-along utility to record IPMI sessions and create basic IPMI simulations. The recorder queries the target device, recording requests and responses and creating the simulation. IPMI Proxy: The IPMI Proxy (ipmiproxy) is a stand-along utility to record IPMI sessions and create basic IPMI simulations. The proxy sits between the IPMI management application and the target device, recording requests and responses, which can then be fed to the IPMI Recorder to create the simulation. MIMICShell: IPMI functionality can be controlled by MIMIC Command line interface. If you are interested in creating your test lab with devices and topology, MIMIC Simulator Suite Suite allows you to create SNMPv1, SNMPv2c, SNMPv3, NetFlow, sFlow, IPMI, Cisco IOS, Juniper JUNOS, Telnet/SSH based devices. You can simulate as many as 100,000 devices in a lab. It includes MIMIC Recorder to record your production network and duplicate it in your test lab.